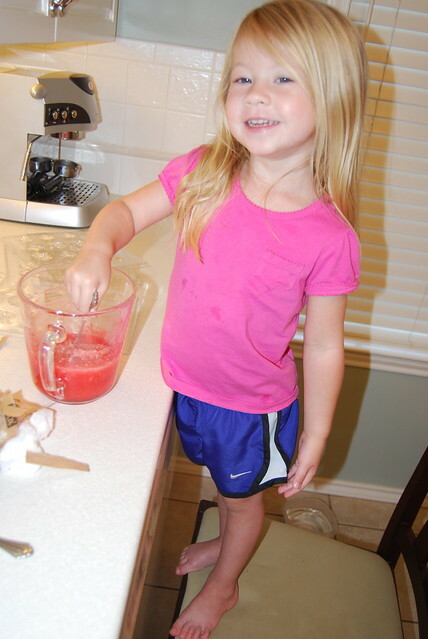 Ella filled her jar to the halfway mark yesterday so we made some candy for a little treat. 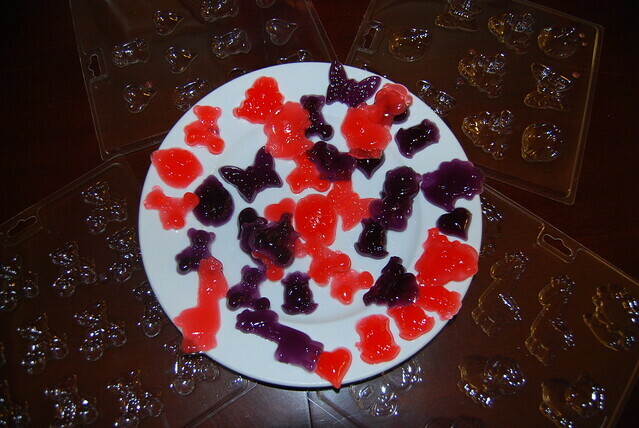 I followed this recipe on how to make your own gummy candy. 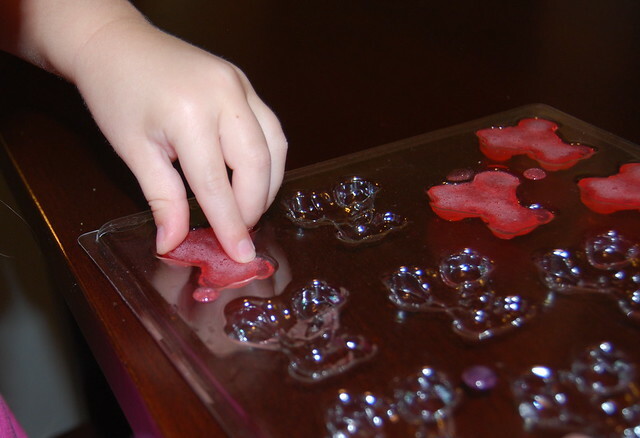 It was so easy and Ella loved it! 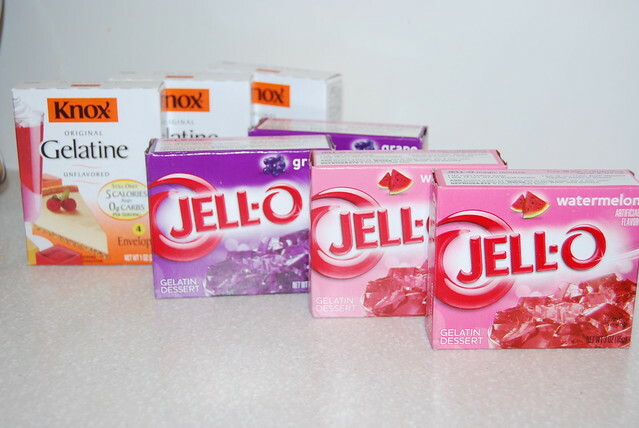 All you need is jello and gelatine. 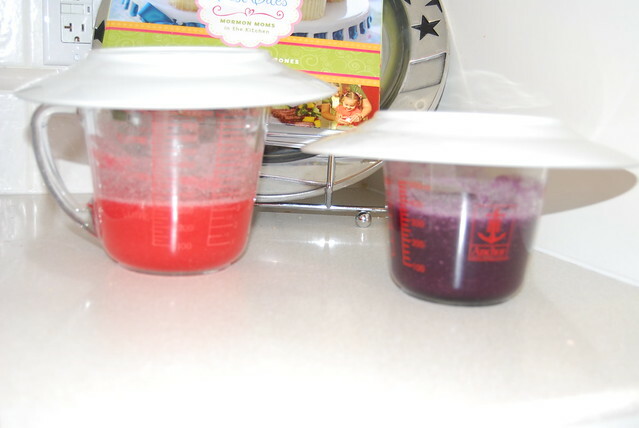 Ella mixed 2 three oz packages of jello, 6 envelopes of gelatine and 2/3 cup of cold water + half of 1/3 cup. 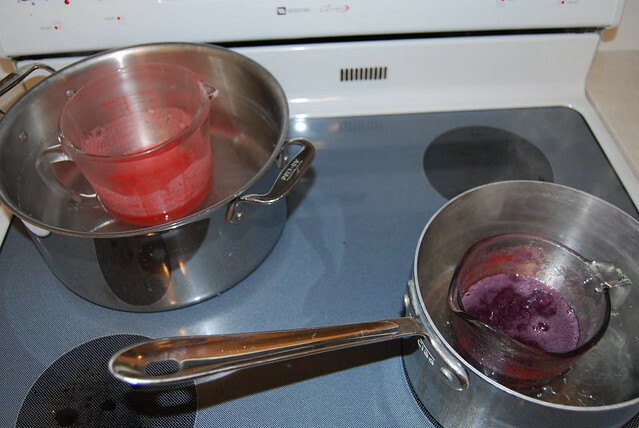 We then let the jello mixture sit covered for 10 minutes and then I put them in pots of simmering water to melt. 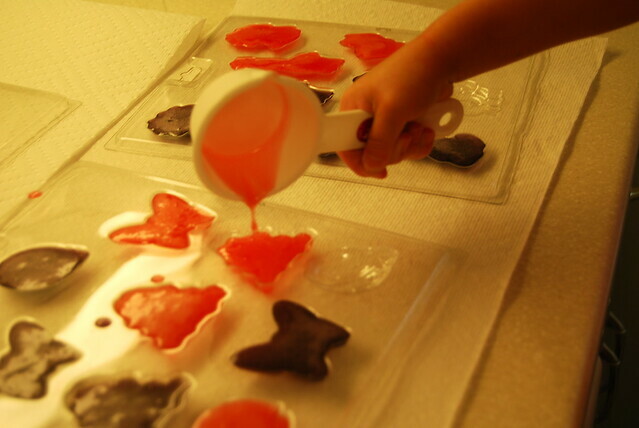 Once the mixture was melted we poured it into candy molds that we bought at hobby lobby. 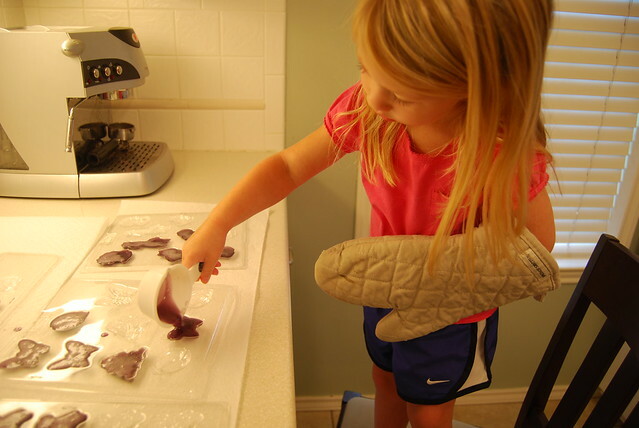 We put them in the fridge for about 5 minutes and they were ready! 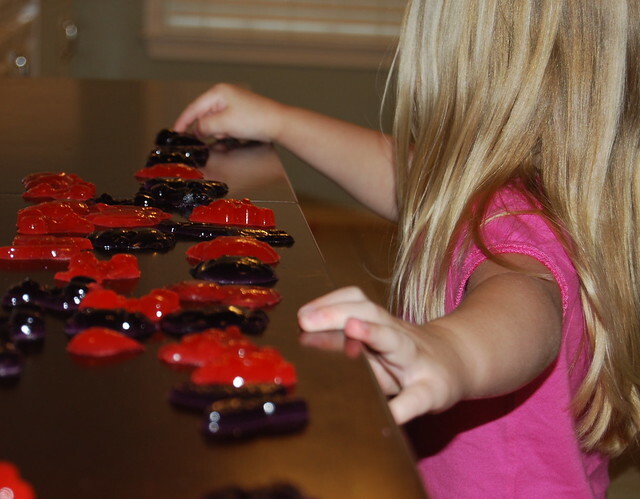 Ella had so much fun making this candy! 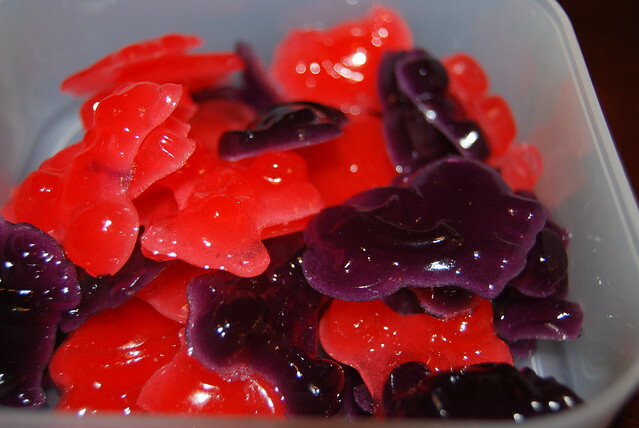 And it actually tasted pretty good too, like a watered down jello fruit snack. so cute! looks like fun entertainment as well! Way to go sweet Ella!! I love this!! 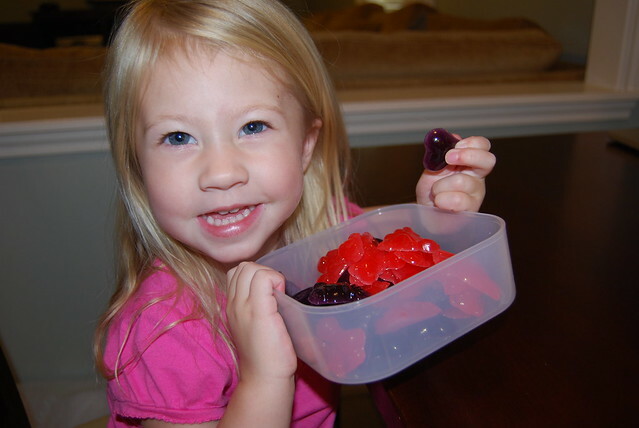 I bet kinley would have a blast doing this and she loves fruit snacks. Ella is so stinkin cute and obvi so well behaved! Your jars are genius!